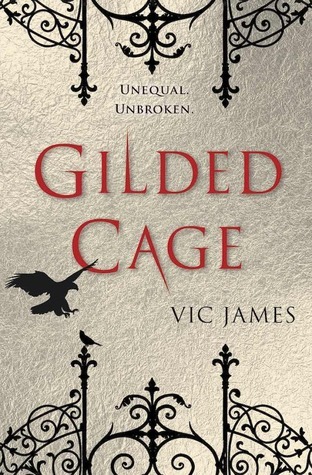 I received an email from Netgalley introducing Gilded Cage and it immediately caught my interest. The first line of the synopsis was enough for me to instantly push the "request" button on Netgalley and anxiously await my acceptance. I immediately became hooked and loved the characters and the world James created. It did have some subtle similarities to other YA books I've read, but it definitely stood out! I loved getting to know the characters and I especially loved the constant change between narrators and points of view. It was a little extra insight to how each character reacted to their circumstances, and the changes in points of view allowed the reader to get to know each character a little deeper. The magic added such a complex flair to the novel and made it unlike other YA books that I've read. There were several unexpected twists in the plot and I couldn't guess what would happen next. I read the last page and just sat there thinking, "Ok James, you're going to have to hurry up and write the next book... like NOW"! 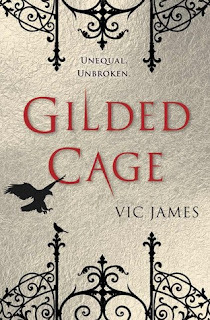 I thoroughly enjoyed Gilded Cage and would highly recommend it to lovers of fantasy YA books.